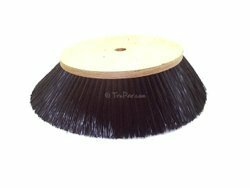 9162218 - Broom 18 Inch 3 S.r. (Poly Side) for Liberty BrushTruPar.com offers a wide variety of aftermarket forklift parts, aerial lift parts, sweeper parts, scrubber parts and material handling supplies. You can rest assured that this 9162218 Broom 18 Inch 3 S.r. (Poly Side)for Liberty Brush will perform as well or better than the Liberty Brush Broom 18 Inch 3 S.r. (Poly Side) itself, at a fraction of the price. View More In Push Brooms. If you have any questions about this product by A&I, TRU, contact us by completing and submitting the form below. If you are looking for a specif part number, please include it with your message.